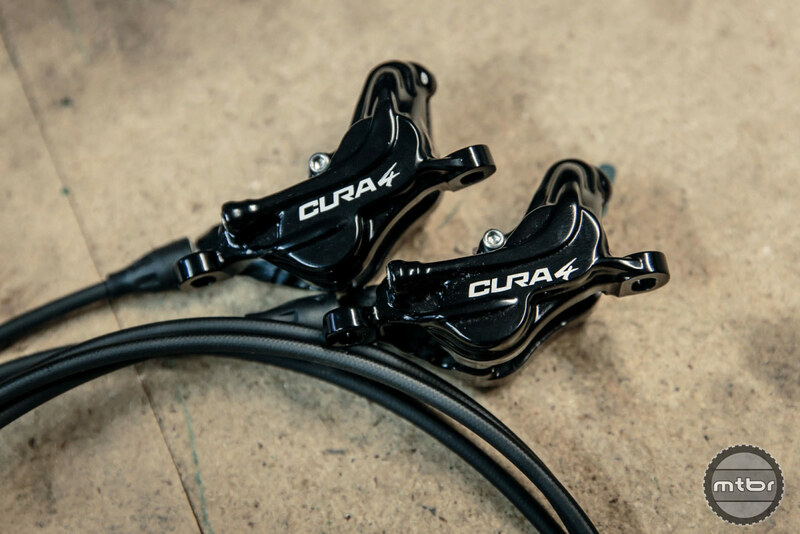 Formula has launched a new gravity-oriented brake, the Cura 4. 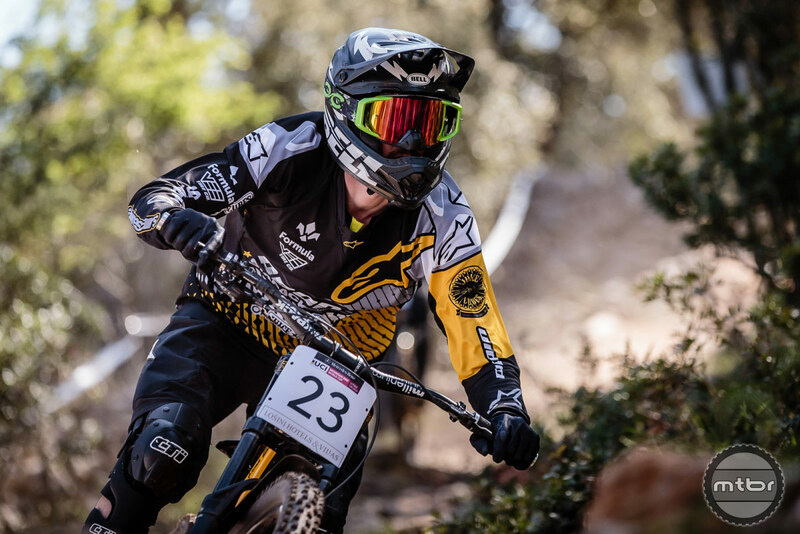 Highlight features include four 18mm diameter pistons aimed to provide the rider with immense stopping power. 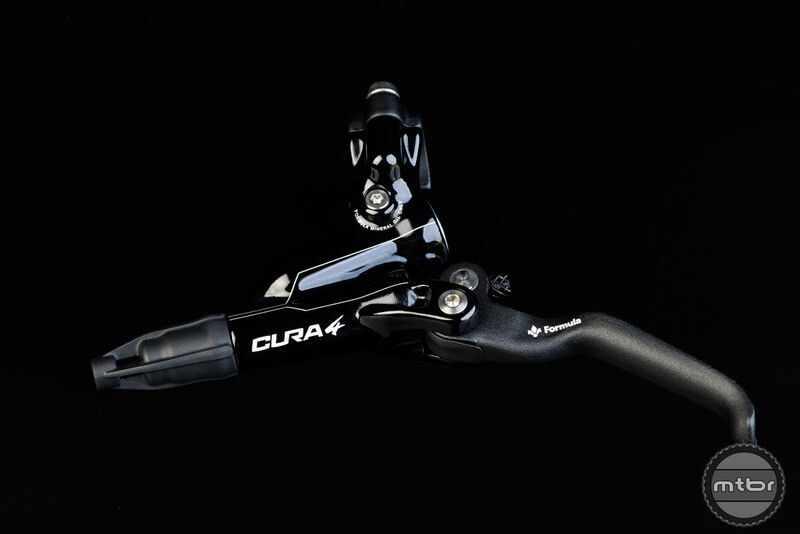 The Cura 4 also has an expanded friction surface and thickness on the pads, which are said to improve modulation. The Cura 4 inherits materials from its younger brother, Cura. 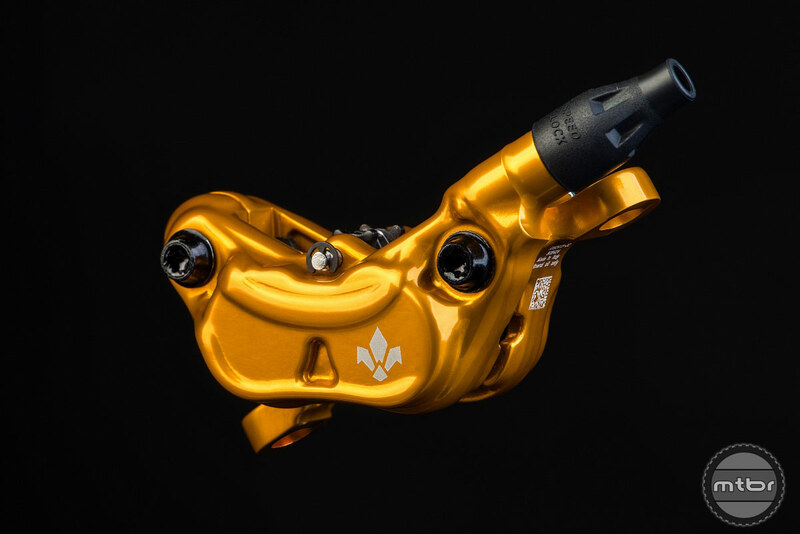 It is a fully forged and anodized brake, a production process that enhances structural quality and reliability over time, and lowers weight. 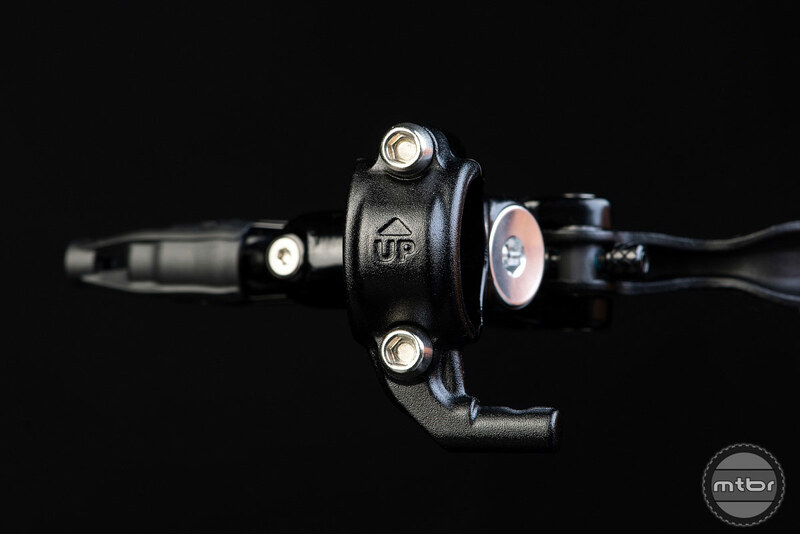 The axial master cylinder has an intuitive lever feeling and responsive modulation. The large reservoir has multiple bleed ports and resides entirely above the master cylinder piston for simple bleeding. 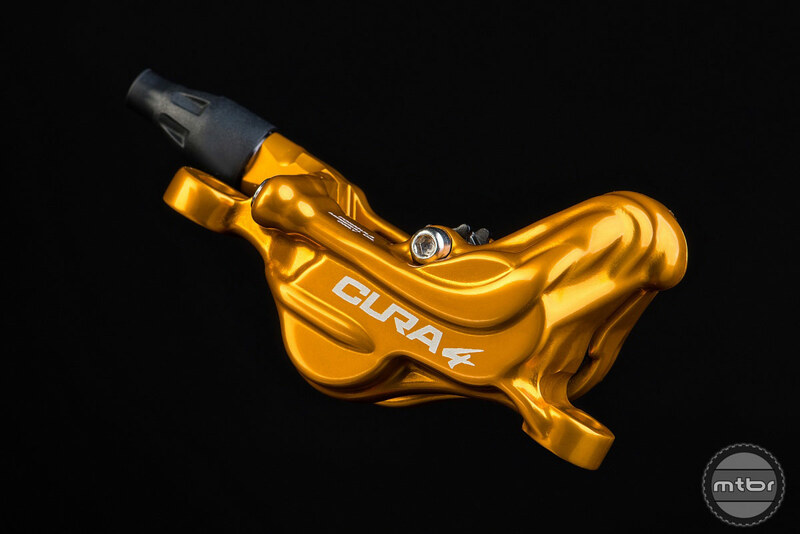 But it’s the new 4-piston caliper that’s the innovative heart of Cura 4. 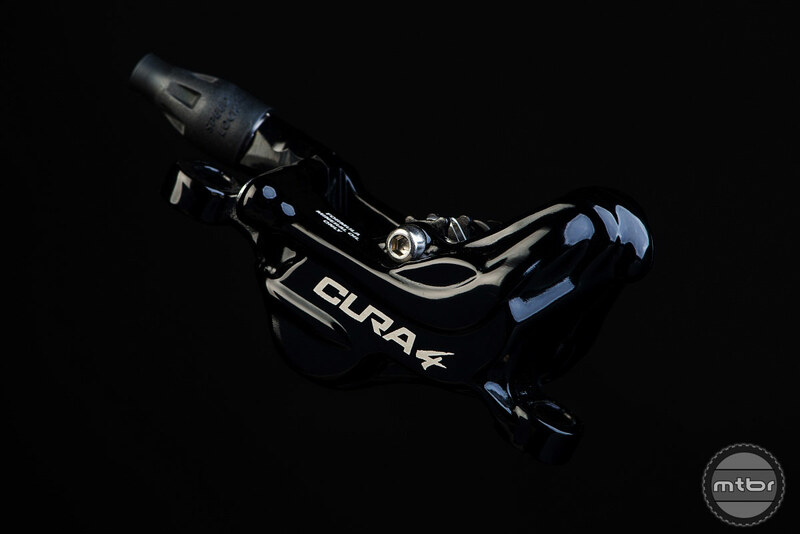 The caliper is comprised of two pieces of forged aluminum. High quality anodizing allows friction to be minimized and reliability to be maximized. 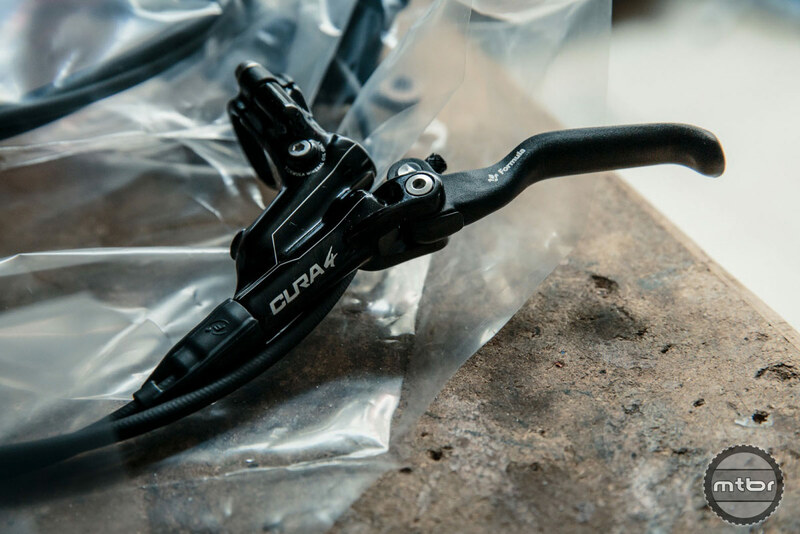 The design of the new caliper of the Cura 4 also allows an optimal management of power, giving a very linear and progressive feeling. 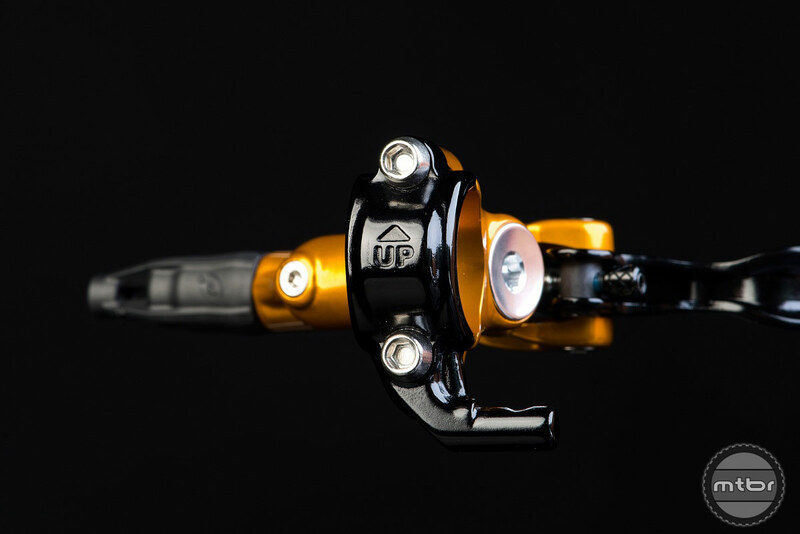 The Speed Lock technology, proprietary to Formula, facilitates the installation of the brake system on all frames with internal cable routing. 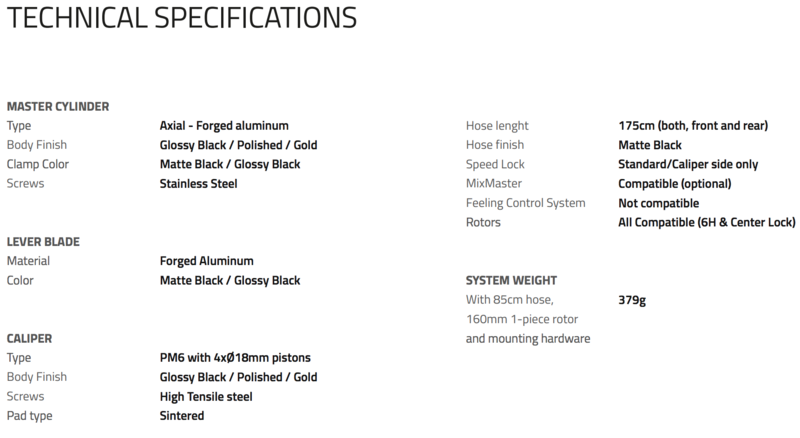 And the Cura 4 weighs only 379g (85cm tube, 160mm 1-piece disc and bolts included). 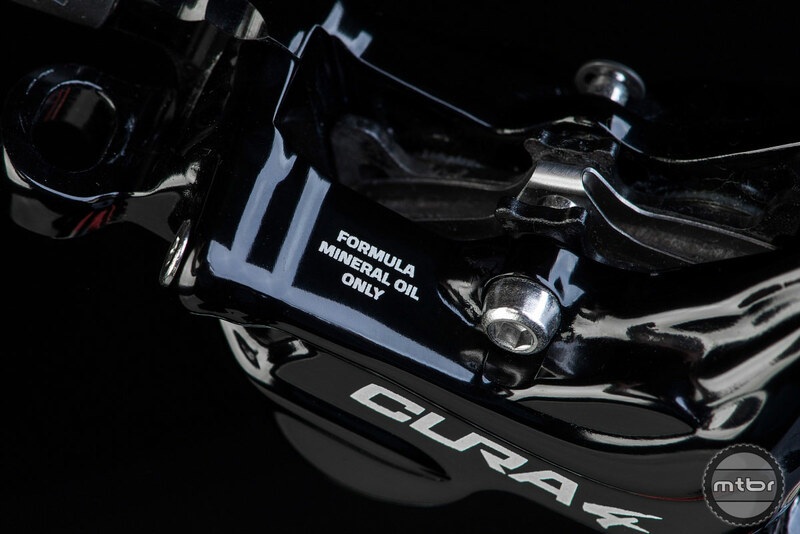 Additionally, the Cura 4 continues Formula’s efforts regarding the use of mineral oil. Formula mineral oil has a high boiling point, which aids performance in high temperatures in order to avoid overheating. Conversely, at low temperatures, Formula mineral oil has a lower freezing point, allowing Formula brakes to work well even at very low temperatures. 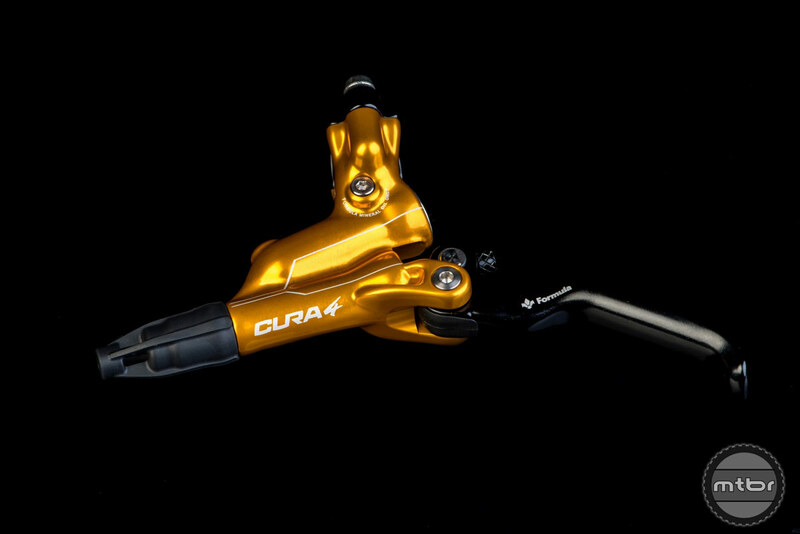 Beside glossy black and polished, the new Cura 4 is also available in a gold finish. 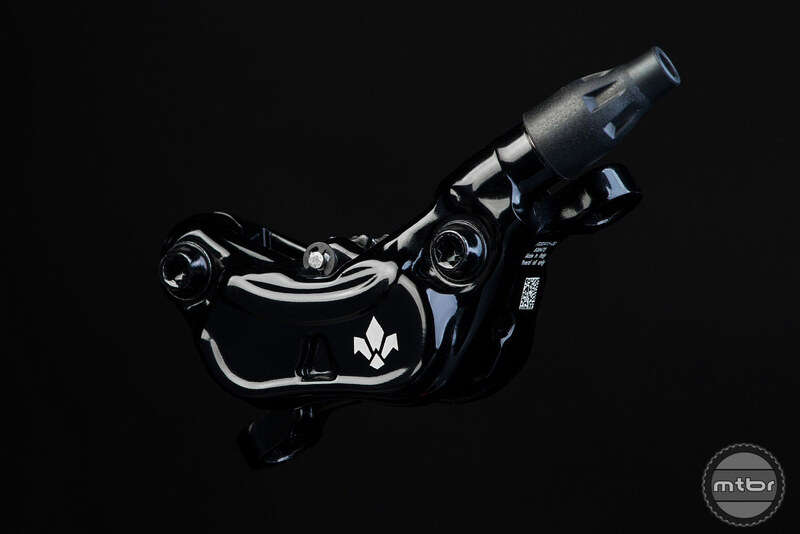 Also notable is the Mix Master handlebar clamp that’s an option for all Formula brakes. 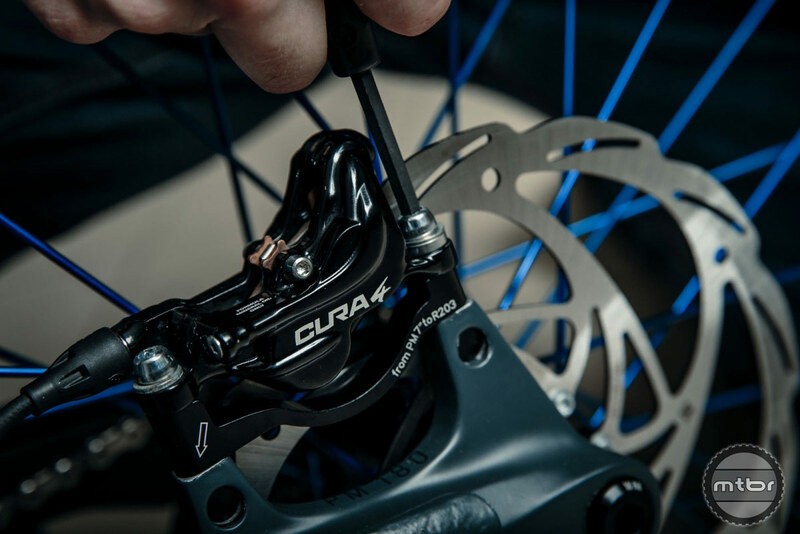 This simple upgrade allows for the direct attachment of Shimano and SRAM shifters on your Formula brake, giving the bike a clean look. 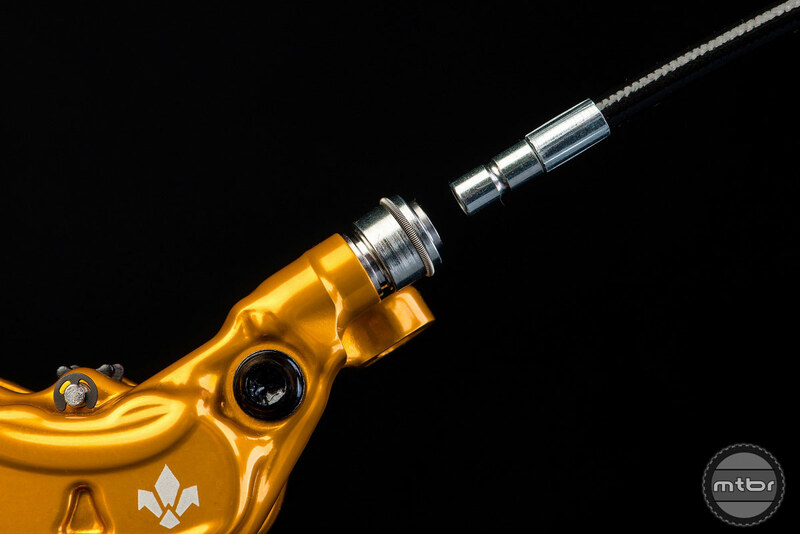 Meanwhile, Speed Lock technology allows for the disconnection and connection of the hose multiple times without losing fluid or introducing air into the brake. 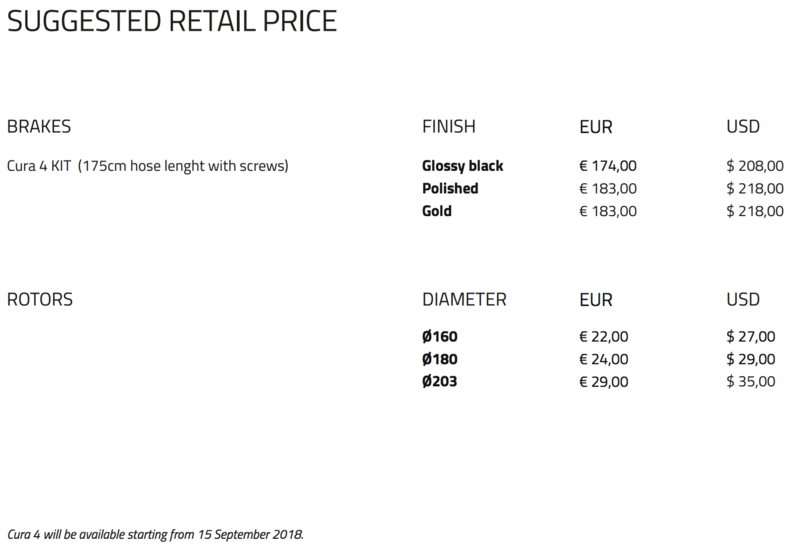 The Speed Lock hose is a great option for internally routed frames, the traveler who packs their bike, or anyone who is constantly assembling/disassembling their bike. 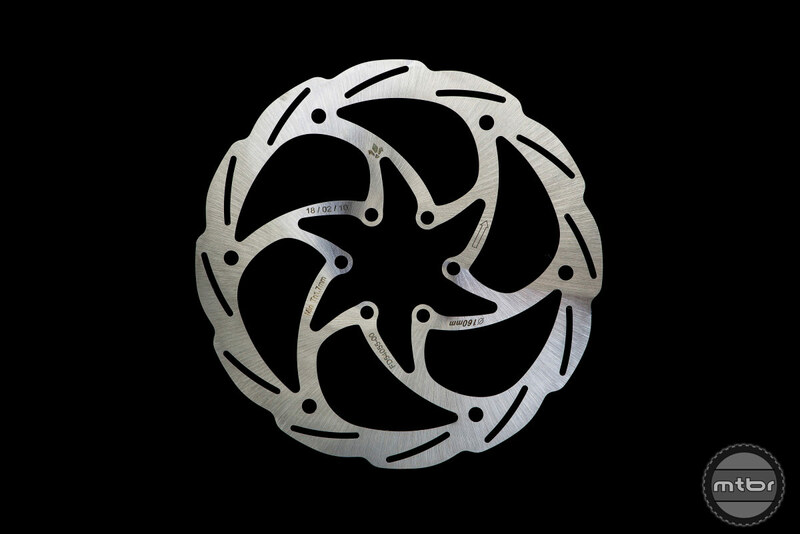 After more than three years of development, Formula has launched a new disc rotor. 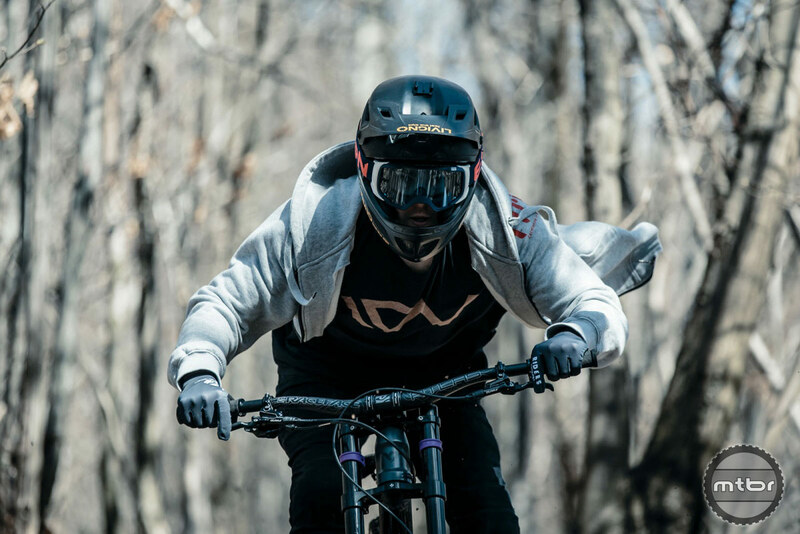 Highlights include extreme lateral stiffness that improves impact resistance, which helps maintain optimal centering even after a crash. They are also optimized Rotor to reduce unwanted noise caused by friction and at the same time provide a greater braking surface. And a special anti-noise design reduces the risk of resonance and vibrations. To learn more head over to www.rideformula.com.